My family is coming for a visit. I live in a beach town and I decided to make this simple "sign" to welcome them made from several different beach pictures. 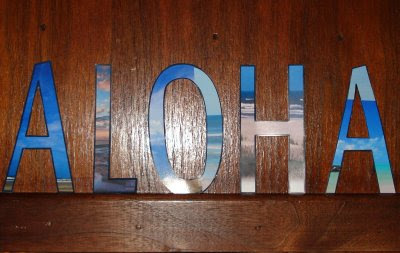 I figure what says welcome to the beach better than "Aloha?" I put my sign on the first piece of furniture you see when you walk in my door. We'll see if they notice it :).